Returning after a critically acclaimed, total sell-out sell-out spring 2015 tour the Grumpies are back to knock some sense into the nation. 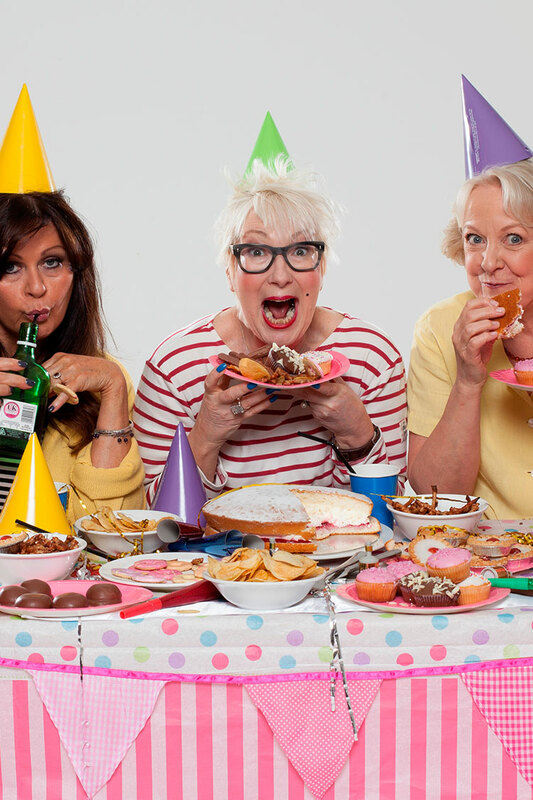 Perrier Award-winning comedian, writer and original star of Grumpy Old Women Jenny Eclair will be joined by fellow recruits Susie Blake (Mrs Brown's Boys BBC One, Coronation Street, ITV1) and actress and singer Kate Robbins (Where The Heart Is ITV1, Casualty BBC One). This jam-packed show includes... learning the art of 'Grumpy Grooming', the joy of large pants, a free nagging master class (how to get your own way without him even noticing), beards for women, which style will suit you? Complimentary Anger Management workshop, middle-aged drinking: the rules, navigating the smorgasbord of worry, voluntary euthanasia vs. retirement, how to customise an unwanted pole dancing kit and a mercifully brief Zumba demonstration. All this and more!